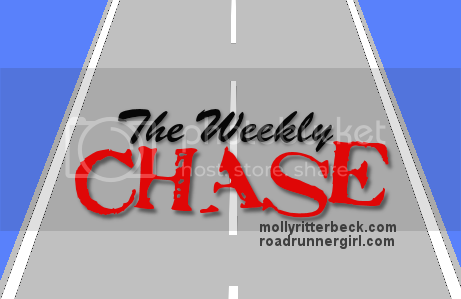 Road Runner Girl: The Weekly Chase #140! Wow that weekend went by so fast!!! But we had some amazing weather on Sunday! The temp was in the high 50's on Sunday morning and the high only reached 78° that day! It really felt like fall! Of course by the end of the week we will be back up in the 90's! Friday afternoon I came home to a wonderful box on my front door! Inside were new running shoes!!!! I LOVE LOVE LOVE my Asics running shoes! These are the GT 2000 2 model. They have a newer model out but I will continue to buy this one until I can no longer find it. I LOVE the neon yellow color and have bought this exact pair the past 2 times lol! Friday night we went out to eat at my boys' favorite...the Mexican restaurant! We were all starving! But right before we got our food Sawyer starting crying and having what looked like an anxiety attack. He said he was scared. He said in school they had watched a video about cells and that he had a nightmare the night before about huge cells attacking him!! It sounds really funny but he was really scared! Bless him! So he ended up not even touching his food that night. And it made it a not fun experience for the rest of us. Saturday morning I woke up super early to get in a short run for my run streak. Then the family and I loaded up into the car and drove to the beach. My friend Paige and her fiance Billy were doing a triathlon there. You may remember last year that Billy proposed to Paige when she crossed the finish line. Well this year he joined her and did the triathlon. And then they got married at the finish line!!! It was such a special day and I was super glad to be a part of it! My friend Stephanie (who lives in Tennessee) was there for the special day! It was so good to see her!!! After the wedding festivities we stayed and played on the beach with a Paige and her family and a few other friends. The weather was cloudy but it didn't stop us from having fun! We had lunch at the restaurant called The Hangout before we headed home. We got cleaned up at home and then headed to The Coffee Loft for some afternoon coffee with our friends Kirstin and Jim! After dinner we went to the pier and took a walk and watched the amazing sunset! It was such a beautiful night! And a great end to a super fun day! Sunday morning was another super early morning for me. I ran 6 miles in the awesome cooler weather! Then we headed to church. We spent the afternoon enjoying the weather outside. That night we met Kirstin and Jim for dinner to celebrate Jim's birthday! Goal #1: Run every day! Yes! The run streak is still going strong! Goal #4: Move 11,000 steps or more each day this week. Yes!!! Some days were harder than others to reach this goal but I did it! Goal #1: Run every day! I plan on keeping the streak alive! I need to take a few one mile "rest" days this week though. Goal #2: Roll, stretch, and ice daily. Gotta keep this up to help myself stay injury free! Goal #3: Maintain my weight by logging my calories. I love where my weight is now. I don't want to gain it back. Key for me is staying on top of what I am eating and how much. Goal #4: Move 11,000 steps or more each day this week. I did so well with this last week that I want to keep at it this week! 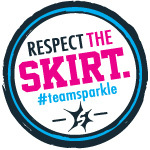 Goal #5: Shop for a birthday present for my niece. My niece Ella is turning two! Her party is on Saturday so I need to get her a gift. That's it for this week! I hope you have a great week chasing your goals!